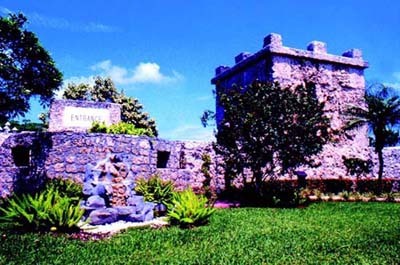 The Coral Castle is one of the world's more modern mysterious structures. Edward Leedskalnin built the Coral Castle as monument to his lost love. Edward was not a large muscular man and yet he moved many large and heavy blocks without the assistance of heavy machinery or human help. He worked alone - at night - and seemed to know when he was being watched. On those occasions - he never lifted any of the stones. How he did it is a mystery.